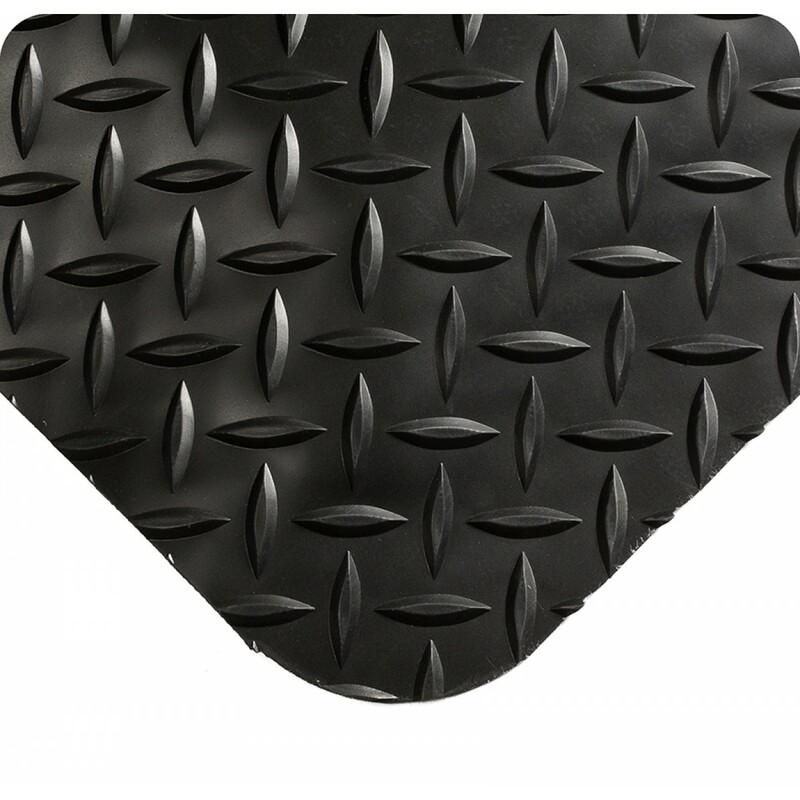 Envirosafe Ireland provides a variety of DIAMOND-PLATE Anti-Fatigue Mats. The Anti-Fatigue Mats provide a solution to productivity robbing fatigue for employees who are required to stand for long periods of time during their working day. Our Anti-Fatigue Mats are used in both Commercial and Industrial work environments and are designed to make employees more comfortable in their job and therefore providing a happier, healthier and more productive working environment. First of all UltraSoft Diamond-Plate SpongeCote proves the old adage that two is better than one. The Nitrile enhanced Nitricell sponge is twice as thick but still absorbs repeated compression and bounces back to its original form. This technology results in a better performing Anti-Fatigue Mat than any PVC sponge alternative. 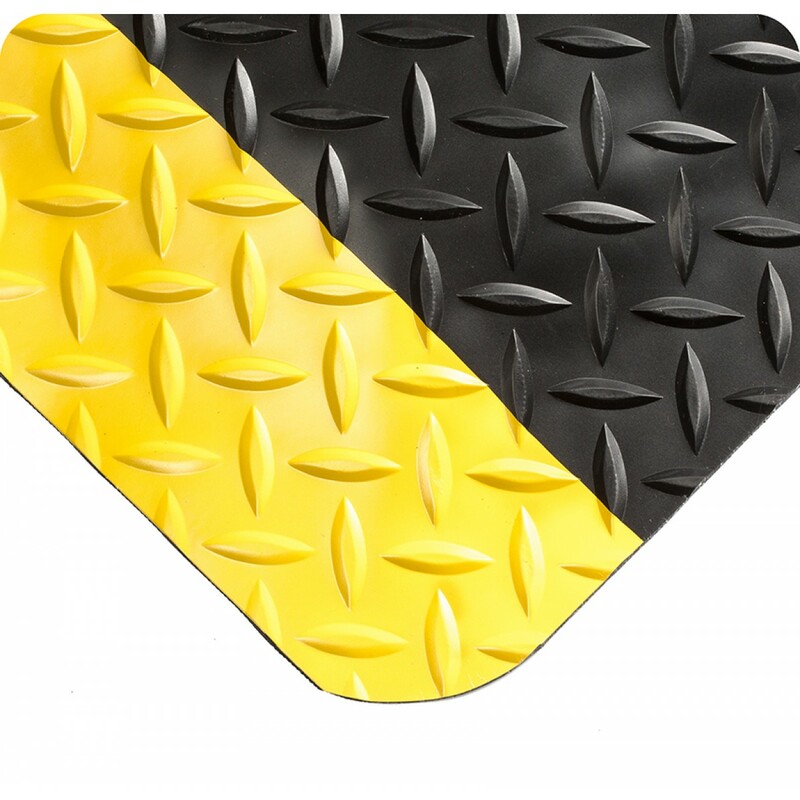 Consequently this provides an anti fatigue mat with a longer life span and creates greater productivity improvement for hard working industrial employees. Electrically Conductive Anti-Fatigue is our #1 seller year in and year out for static control applications. Perhaps it’s because the mat so effectively protects sensitive equipment while dramatically reducing standing fatigue. Or perhaps it’s because the mat is so remarkably durable and features our top of the line Nitricell sponge. Electrically Conductive Anti-Fatigue provide the best long-term value for ESD (Electrostatic discharge) applications. Electrically Conductive Anti-Fatigue mats offers a lay-flat design which is available in smooth or diamond plate surface patterns. The Nitricell sponge base provides twice the resilience and three times the life span when compared with typical sponges. While our standard mats has an overall thickness of 14mm, while our Ultrasoft mat is 24mm thick. Diamond-Plate with GRITSHIELD combines productivity improvement with slip prevention in oily overspray applications. A GRITSHIELD enhanced PVC surface improves coefficient of friction by 60%, protecting team members from dangerous falls. The Nitrile enhanced Nitricell sponge absorbs repeated compression and bounces back to its original form better than any PVC sponge alternative. Diamond-Plate with GRITSHIELD offers twice the resilience and three times the life span when compared with look-alike’s. Our Standard mats have an overall thickness of 14mm, our Ultrasoft mat is 24mm thick. The mat’s machine cut and beveled edges help prevent trips and falls and the mat is designed to maximise the standing area. 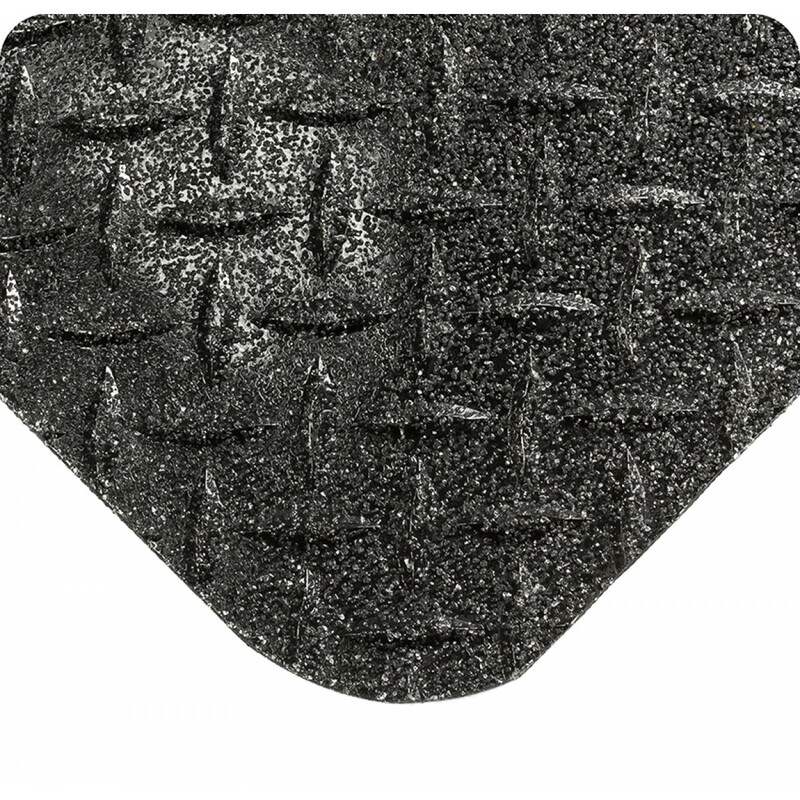 SMART Diamond-Plate took the matting world by storm when we introduced it in 2009, and it is now one of our most popular sellers! SMART’S 100% recycled Urethane composite sponge combines economy and ecology like no other ergonomic matting product. And at a price point that no other laminated diamond plate mat can touch! SMART offers a dynamic combination of resilience, durability, and aesthetics. The Anti Fatigue mats are available in 16mm or 25mm thickness. 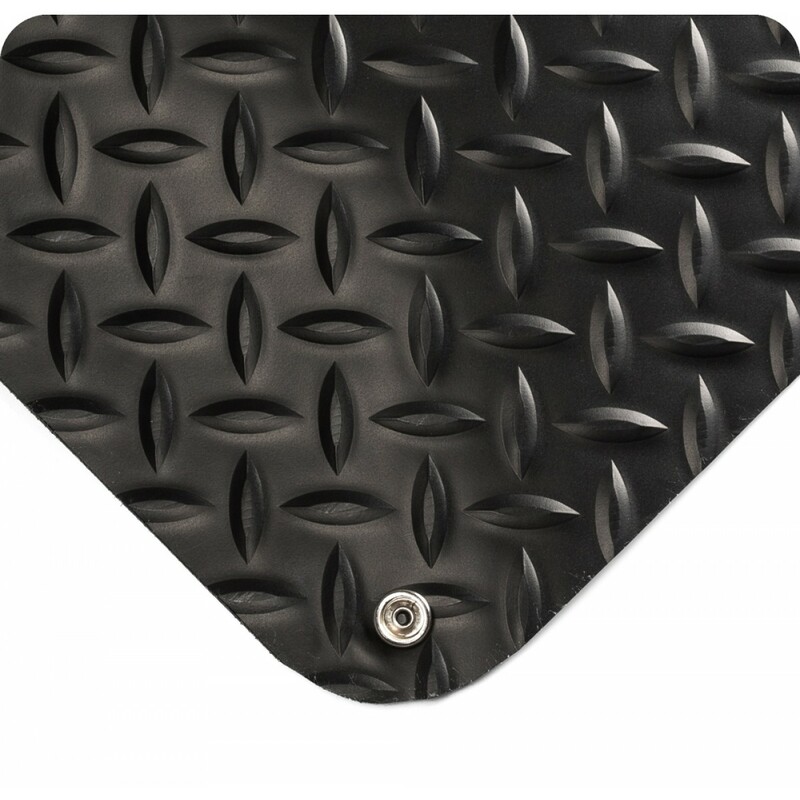 Diamond-Plate Select is the mid-range offering within our most popular family of anti-fatigue mats. It is the “Better” version of our exclusive Good-Better-Best Diamond-Plate product line. We can offer you a choice of Anti Fatigue Mat solutions, depending on your budget, durability requirements, level of customization, and sponge preference. Diamond-Plate Select features our “Flex-Link” sponge underlayment, a dense, closed-cell PVC foam designed to provide solid, stable anti-fatigue performance. The Anti Fatigue mats are available in 16mm or 25mm thickness.